The 2015 Ram 3500 has a remarkable amount of power and capability, making it easy to perform even your toughest job. With a variety of configurations, as well as seating for up to five, the 3500 comes in your choice of three different cab styles (regular cab, crew cab, and Mega Cab) and two cargo box lengths. 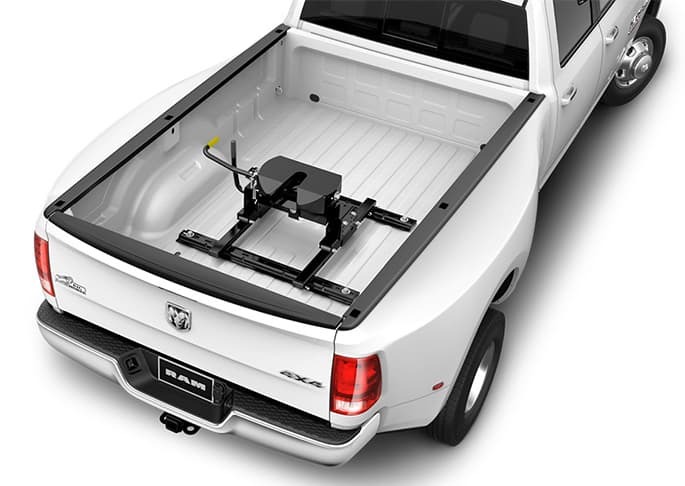 Features for 2015 include power-folding towing mirrors, work-grade vinyl seats, and the Ram Power Wagon has gained hill descent control. The 3500 comes standard with a 5.7-liter Hemi V-8; it produces 383 horsepower and 400 pounds-feet of torque. Second, there is a 6.4-liter Hemi V-8, offering 429 pounds-feet of torque and either 410 horsepower for most models, or 370 horsepower for the Mega Cab vehicles. For more power, consider the Cummins turbo-diesel 6.7-liter V-8. The Cummins engine boasts remarkable capability, no matter which configuration you choose. The six-speed manual produces 350 horsepower and 660 pounds-feet of torque, while the 370 horsepower and 800 pounds-feet of torque are offered with the six-speed automatic. The 3500 is the ultimate performance vehicle for any job, performing with both functionality and capability in mind. Offering an array of powertrain configurations, you are sure to find the perfect specifications for your needs! The 3500 has a rugged exterior, adding features like three wheel choices (17-, 18- or 19-inch wheels), optional LED taillights, fog lights, a variety of grille finishes, power-folding heated side mirrors, exclusive RamBox storage bins in cargo-bed sides, and a spray-in bedliner. The interior offers comfort for up to five passengers, with vinyl, cloth or leather upholstery, a heated steering wheel, and both heated front and rear seats. The 3500 has easy-to-use yet highly advanced technology, like a 7-inch screen in instrument panel, an innovative 8.4-inch touch-screen Uconnect media system, remote start, and a navigation system. To keep you safe during any job or task, the 3500 offers excellent safety and security features. Some of those include optional integrated trailer brake controllers, backup cameras, and rear parking sensors. Have a question regarding the remarkably capable 2015 Ram 3500? Give us a call, or fill out the form below, and we would be happy to fill you in!